Pharrell Williams (born April 5, 1973) commonly known simply by the mononym Pharrell, is an American rapper, singer, record producer, and fashion designer. 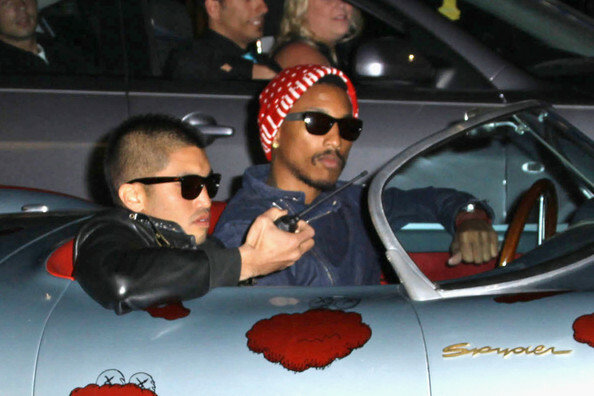 Williams and Chad Hugo make up the record production duo The Neptunes, producing pop, hip hop and R&B music. He is also the lead vocalist and drummer of rock band N.E.R.D, which he formed with Hugo and childhood friend Shay Haley. While filming his latest music video with Paris-based singer Uffie, Pharrell Williams was spotted with Chad Hugo from N.E.R.D. 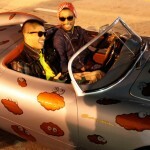 on the streets of Los Angeles driving around in a Porsche 550 Spyder with custom graphics done by the artist KAWS.